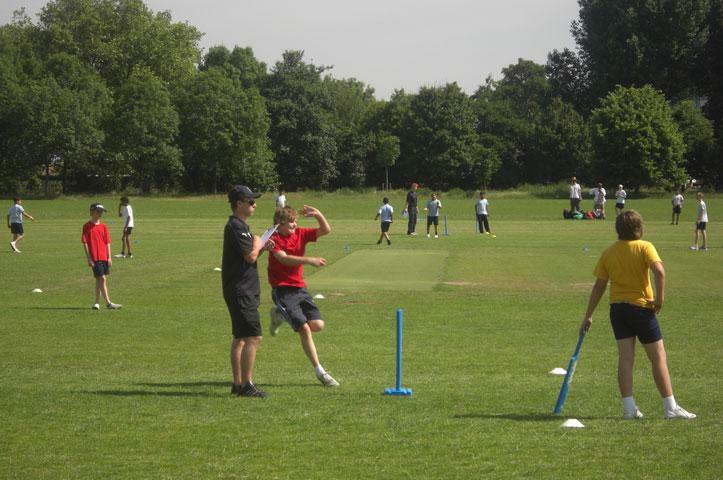 While England were preparing to play Slovenia, the year 6 cricket team, plus the growing band of supporters, went up to Regents Park to take part in the Middlesex County Finals of the Asda Kwik National Cricket Tournament. 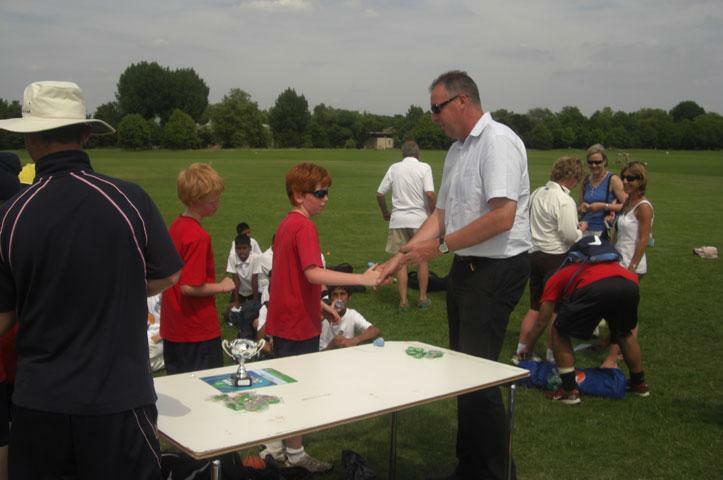 12,000 teams play in the tournament with Collis being just one of more than 150 teams from Middlesex alone. 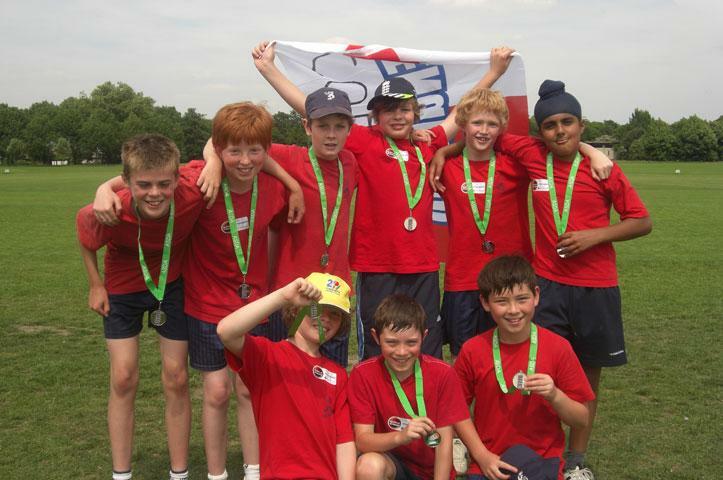 In the first games we beat Belmont (representing Hounslow) by 24 runs, then New End (Camden) by 54 runs taking us into a semi final against All Saints (Barnet). Another great team performance saw us through, by 30 runs, to the final against Woodend (Ealing). They biffed a rapid 71 despite 2 of their players being felled by quick straight balls. In reply we batted well but lost wickets steadily ending up with 49 so ending up as the second best team in the whole of Middlesex! All of the squad contributed with bat, ball and in the field and again were a great credit to the school.To top off a fantastic (and hot) day, the boys received their medals from ex Middlesex and England fast bowler Angus (Gus) Fraser. 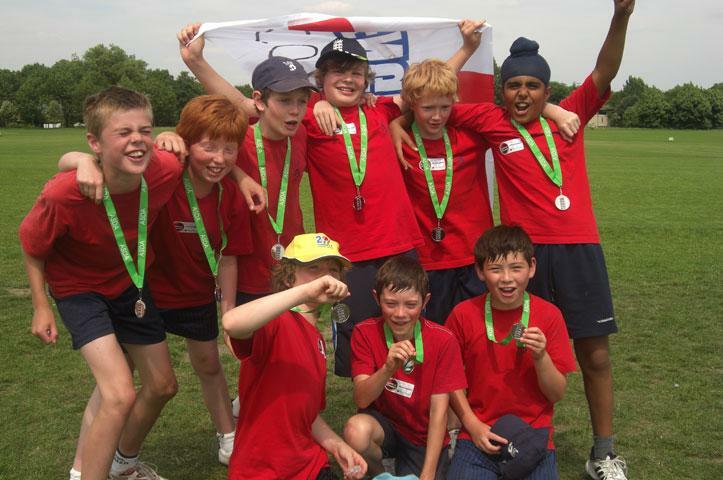 Rumour has it that we have now qualified for the regional finals against the best schools from other counties in the South East of England but that’s all in the future…..for now we salute the year 6 boys.